When you’re struggling with an addiction to opiates, you probably don’t want to read a lot about drug statistics. In fact, most addicts and individuals who struggle with substance abuse problems avoid looking at the numbers where drug addiction facts are concerned. It’s just too scary. And it should be. 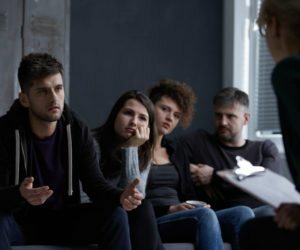 If you can break away for a moment and take a look at some of the drug addiction facts surrounding opiate and opioid addiction, you may begin to understand the severity of your problem. And it may spur you to get help. Fact #1 – There are approximately 20,000 overdose deaths from opioids every year. This is one of the most shocking drug statistics for any drug, but drug rehab centers understand it. At White Sands Treatment Center, we treat those with opioid addiction every day, and we’re always welcoming new patients to our center. This is an epidemic, and we’re right in the middle of it. Fact #2 – The number of deaths from opioids surpasses the number of deaths from heroin. This is truly one of the drug statistics that is difficult to believe. For so long, heroin was the biggest threat to the nation in terms of drug abuse and addiction. But the fact of the matter is that heroin’s cousin — prescription pain killers — are now the more widely used and abused addictive substance. Those who struggle with an addiction to opiates are often upstanding citizens, good students in school, hard workers, parents, and college grads. These drugs are not street drugs. They’re in suburban homes, upscale apartment complexes, high schools, and college campuses. Fact #3 – In 2012, 259 million opioid prescriptions were written by doctors. This is another one of those facts about addiction that you simply don’t want to believe. This number of prescriptions — 259 million — is actually enough to give each American citizen at least one bottle of prescription pain medicine. Fact #4 — From 1994 to 2007, the number of opioid prescriptions given in the U.S. among young people (adolescents as well as young adults in their early 20s) almost doubled. Young people are some of the most affected by this opiate epidemic, and as you can see, the rates of use among adolescents and those in their early 20s are simply getting worse and worse. The facts about addiction can truly be scary, but looking at them and realizing that you too could become a statistic if you don’t get sober, may encourage you to seek professional help. And where any serious addiction is concerned, professional help is exactly what you need. In Florida, White Sands Treatment is one of the top the rehabilitation centers for those struggling with opiate addictions. If you know that you have been abusing opiates or if you have a loved one who has been abusing opiates — openly or in secret — it’s time to call us for help. We have numerous programs that we can cater to fit your needs or the needs of your loved one. Through our fully medically monitored detox programs, intensive therapy programs, and aftercare planning, you or your loved one will be able to achieve lasting sobriety and a better life.